When it’s done right, you’ve got that just-back-from-vacation glow. When it’s done wrong, you look like you got a bad spray tan. And then there are all the scenarios in between—a little streak here, a bare spot there. No matter what the situation is, we’ve got the solution. Scroll through for seven fixes to the most common spray tan snafus! When your technician takes you to bronzed goddess status when you were looking for more of a sun-kissed glow, employ the exfoliate-and-soak method. Start by dry brushing to loosen dead skin cells, soak in the tub for at least 10 minutes to lift the color, and finish by scrubbing down with a physical or chemical exfoliator, like Cane+Austin’s Face and Body Retexture Scrub ($42). If it’s your face that comes out too dark, employ a similar but gentler method. 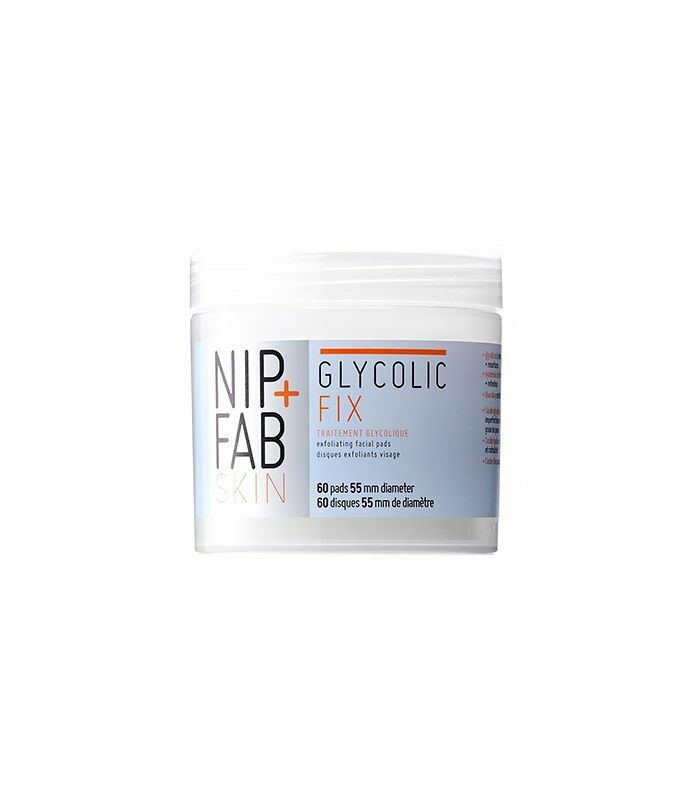 Thoroughly wash your face with a gentle scrub and then use a glycolic peel, like Nip+Fab’s Glycolic Fix Exfoliating Facial Pads ($13). This will lighten the skin just enough. If you’ve got dark splotches in small areas like the hands, feet, elbows, or knees, grab some cotton balls and your nail polish remover. Acetone fades DHA, the chemical responsible for skin darkening. But it is drying, so be sure to rinse off and moisturize well after using it. Switch to pointed cotton swabs if your knuckles need attention. Word to the wise: Always have a friend check out your ears the day after your spray tan. The solution can collect in your ears, leaving them way darker than the rest of your skin. Not cute. If this happens to you, use a damp cotton swab (or two) to clean up the residue. If that doesn’t work well enough, dip the swab in rubbing alcohol and try again. This is easier to spot and easier to clean up. For an overly tanned belly button, use a dry cotton swab. You can even do this preventatively. Just be sure to give your spray tan several hours to process before doing so, or you could end up with a white ring around your belly button. Try as you might to avoid them, sometimes creases under your chest and bum just happen. If they do, the best way to target that specific area is with a tanning towelette. 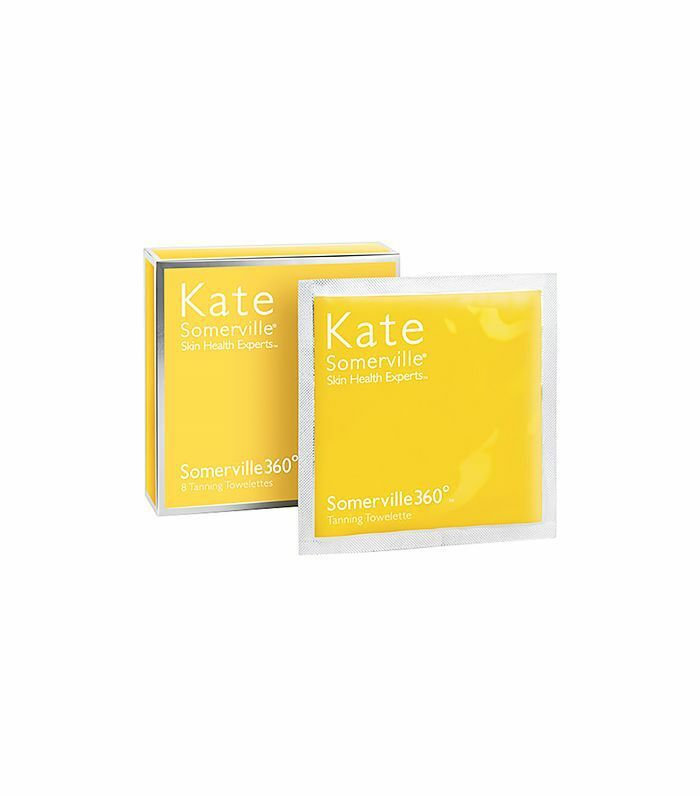 Kate Somerville’s Somerville 360 Tanning Towelettes ($48) give you control to just fill in the necessary spots with subtle color that will blend in with your existing tan. Be sure to follow this clever hack and trim your towelette, so you don’t use an entire sheet on such a small area. And to prevent the creases before they form, apply a thin layer of baby powder before you go to bed. So you forgot to remove your deodorant before you got a spray tan, and now the reaction between the tanning chemicals and the aluminum in your deodorant has left you with green armpits. Unfortunately, if this happens to you, your best plan of action is to catch it early, clean off the area, and hope for the best. Since you probably can’t hop in the shower for a few more hours, use baby wipes instead. Has a spray tan ever turned your armpits green?